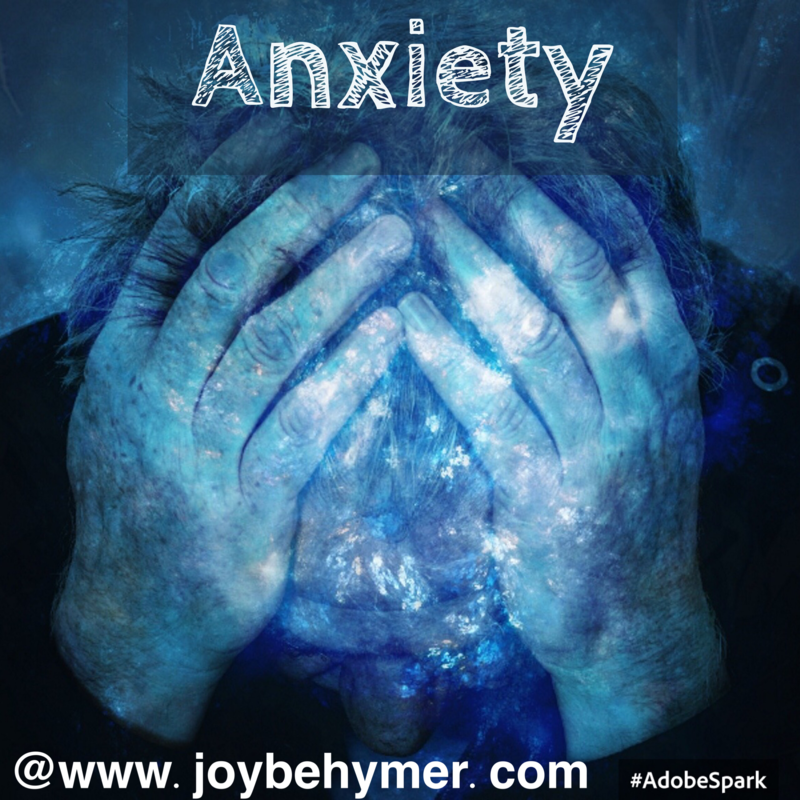 Worry and anxiety are the most common struggles I hear regularly from my clients. For years, it’s not been uncommon to hear people worry about their children, their health, or perhaps their finances. What I am seeing in more recent years is the dramatic shift in stimulation throughout our culture from the news on TV, the Internet, and the abundance of content on social media. We are exposed to more and more advertising, negative news, and often scenarios that plant worries in our minds. We are bombarded by information to add to our own thousands of thoughts each day. If you sit and think about it, it’s enough to overwhelm you and possibly stir up much anxiety. The more we stimulate our nervous system with frequent anxiety, the more it shows up in our health. Anxiety increases our blood pressure, frequently upsets our gastrointestinal system, slows down our breathing (sometimes causing hyperventilation), tenses our muscles (at times causing cramps, aches and pains), and for some people triggers tension headaches (from clenching their jaws) and often disrupts their sleep. Experiencing these symptoms often leads to larger health problems. Whether you are feeling tired and uneasy from anxiety, or experiencing larger issues like anxiety attacks, heart problems, ulcers, or maybe insomnia, we can probably agree that we can use more tools and helpful activities to counteract these disturbances as much as possible. Just decreasing the amount of worrying we do each day will have a big impact on our mental and physical well-being. The good news is once you are aware of your worrying and anxiousness, you can find ways of decreasing it to promote better health and healing. What relaxes one person may be very different for another. The key is finding some things that help you relax, release some worry, and feel better. I feel lucky to have grown up in a time and place that I spent much time alone in nature without the overstimulation of technology and electronics. I did struggle with boredom from time to time, but I did not experience an overload of news and information. I was able to enjoy the quiet moments and turn to these tools today. When I get overwhelmed or stressed, I may find a quiet place to breathe, meditate or simply rest. If the weather is nice, I love to sit in the sun on my deck or take a walk. Today many of our children are growing up in a noisier and busier world. I too enjoy the neat inventions and innovations, but it can be important to be aware of how much anxiety and overstimulation we are experiencing and of how much time we are spending on our technology. When we are busy and overloaded, we may forget the importance of balancing these stressors. Our children may be wound up with energy that they don’t have the techniques to balance and calm their mind. It can show up in disruptions in school and focus. As adults and parents, we are too often becoming overly engaged with our technology and not providing examples of balance. Being a wife and mom, running a business, blogging, and taking regular art classes, I truly understand the challenges of a busy life infused in a very busy and noisy world. Some good news is there is much you can do about it. Finding ways that help you channel your anxious energy into calmer feelings is only step one. Making regular time for it is another. Often we can put off things that are healthy and good for us until we feel like we have the time, which often just keeps us from not doing them. Go about it in ways that fit you and your life. You may be one that cannot hold yourself accountable to the intentions you set. If you do, find ways that help you regularly schedule your hobbies or relaxation. If walking relaxes you, find a friend or loved one to keep dates with. If you like to read for relaxing, you can join a book club. If you relax with yoga and meditation, you might sign up for some classes. If you enjoy getting a massage for health and relaxation, make some appointments. If you’re not even sure what relaxes you, take some time to try some new things. If you have always been interested in art, cooking, dancing, acting, or perhaps learning to play and instrument, there is always time to sign up for a beginners class. The point is whatever it is that helps you to feel more fun, ease, and balance, make sure you make time for it weekly. It can be a variety of things or a routine that turns into a habit. For the way my brain seems to work, I turn to a variety of things to help me balance the busyness and overstimulation I experience. I’ve had to be open and try many new things to find the experiences that help me relax. My balance looks a bit different each week. This is what works best for me. You really need to tune into those interests that soothe your soul and fit them in the best you can for your lifestyle. The more you implement aspects of your life that invoke peace, calmness, and positive feelings, the more control you can have over your health and how you feel. The more tools you have to counteract anxiety, the more choices you have in how you handle your life in the face of challenges like overstimulation.